Expedition and wilderness first aid training. Advanced, practical courses for living, working or travelling in remote regions. These expedition and wilderness first aid training courses take the basic skills to another level. 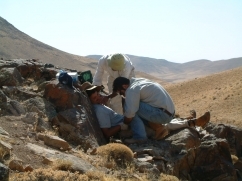 Our expedition first aid training staff are experienced in remote expeditions and managing casualties from the mountain side to the middle of the desert. 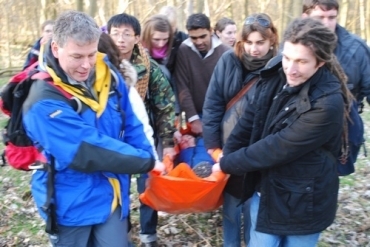 The focus is on practical, hands-on wilderness first aid training to give you confidence with more advanced first aid skills and more technical equipment where evacuation may be protracted, whilst never forgetting the importance of the basics and improvising to find practical solutions in a remote environment. Our wilderness first aid courses are designed for people who are leading expeditions or working in remote locations with standard expedition equipment. The emphasis is on being self-reliant, improvisation with the kit that you have, and dealing competently with both life-threatening and run-of-the-mill situations. The expedition and wilderness first aid training courses are generally designed for those with prior first aid experience. In most cases we would suggest you have a valid outdoor first aid course or similar. They cover skills such as patient monitoring (including blood pressure measurement), advanced fracture management and splinting and spinal management. They look at using specialist kit and equipment such as spinal boards and kendric splints whilst also looking at improvising with basic equipment that you have on all trips to the outdoors. We'll also cover issues such as fluid therapy and environment specific skills such as dealing with altitidue illness and food hygiene issues, frost bite and snow blindness. If you are working in remote environments or leading expeditions it is important to get training which really meets your needs and matches the environments you are working in and the challenges you face. We pride ourselves in the experience of our trainers, the flexibility of our courses and the ability to adapt the courses to suit your needs. As with all our courses expedition first aid is open both to individuals on set dates amd run as bespoke courses for your organisation. We're always happy to talk through your specific needs to help you find the right course for you - don't hesitate to get in touch for a chat.